Local parade organisers are being offered free training and road signs to keep the important local tradition alive. Lincolnshire’s Remembrance Day and St George’s Day parades have been a highlight in the county calendar for decades. However, due to the demands of operational policing, Lincolnshire Police can no longer manage the necessary road closures for these events as it has done in the past. This has caused a number of event organisers to make last minute changes to the arrangements and settings for events, cutting some short - as happened with the parade through Sleaford in November. The police have joined forces with Lincolnshire County Council, who handle requests to close roads, to offer free training to help organisers manage their own parades, ensuring that these community events can continue. Sessions will take place in June and July, with all attendees becoming ‘recognised parade supervisors’. And as organisers sometimes struggle with the expense of providing the necessary road signs, the council has also agreed to lend organisers some of its own stock free of charge. 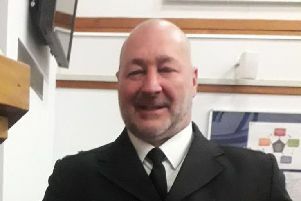 Assistant Chief Constable for Lincolnshire Police, Shaun West says: “These events remain close to our hearts and we will continue to come together with communities to pay our respects and enjoy the patriotic celebrations whenever we can. “In the past we have helped manage road closures too, but sadly we no longer have the resources to do this. “Over the last two years we have been working closely with organisers to develop their understanding of their roles and responsibilities in delivering events, ensuring that they are safe and lawful. Coun Richard Davies, Executive Member for Highways at Lincolnshire County Council, added: “These parades are an important local tradition and we’re keen to see them continue. This training will give the organisers a better idea of what’s needed to keep everyone safe. That will give them a head start when drawing up their event plans, which should, in turn, mean that we can get them approved more quickly. Police and Crime Commissioner Marc Jones says: “I am a passionate supporter of Remembrance Day parades. They are a crucial part of our culture and an important way to commemorate and give thanks to those who sacrificed their lives to protect our freedoms. “It is extremely important that we support the individuals and organisations who work tirelessly to ensure these important events take place. All parade organisers have been contacted with an invitation to complete the training at Police and Fire HQ in Nettleham. Two training sessions have taken place and two more will take place on July 7 and 21. If you haven’t received an invitation and would like to attend contact Lincolnshire Police’s Event Planning Team on 01522 558033. For more information about applying to hold a public event which may affect the highway visit the Lincolnshire County Council website. Heckington Parish Council representatives were among the first to undergo the training sessions in readiness for their village Remembrance Sunday event, which involves stopping traffic in the High Street and Church Street and were full of praise. The chairman, deputy and clerk all attended the training. Chairman Coun Jan Palmer said: “It was an excellent course - well delivered, well planned and concise. She invited volunteers to help with the marshalling and one had already come forward.